The Supreme Court yesterday directed the Karnataka Government to release 2,000 cusecs of Cauvery water to Tamil Nadu every day. The matter will be next heard on July 11. The Court said that on July 11, it will commence the final hearing of appeals filed by Tamil Nadu (TN), Karnataka and Kerala against the 2007 award of the Cauvery Water Dispute Tribunal on sharing of water. The Court will continue the hearing for 15 consecutive working days. An Apex Court Bench, headed by Justice Dipak Misra, had earlier directed Karnataka to provide 2,000 cusecs of Cauvery water to Tamil Nadu till its further orders. Siva Kumar, a Tamil Nadu-based activist, had earlier filed a petition in the Supreme Court on the same. Earlier on January 9, the Tamil Nadu Government sought a compensation of Rs. 2,480 crore from Karnataka for not releasing water to the State despite getting the Supreme Court directive to do so. 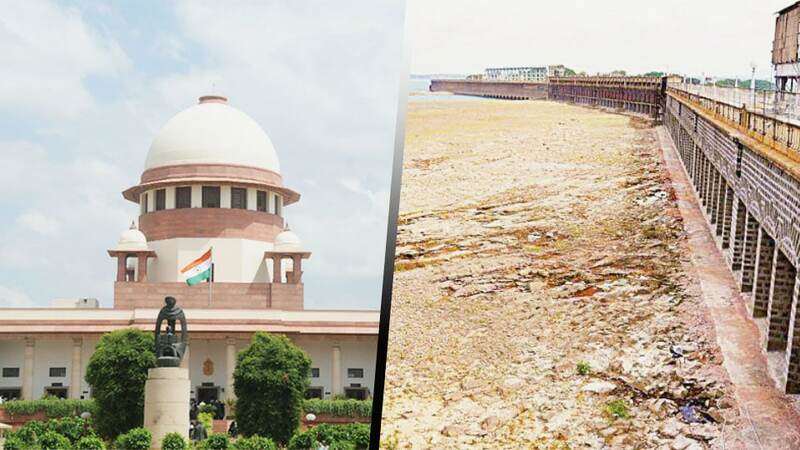 RESERVOIRS HIT LOWEST LEVELS: With water levels at reservoirs in Cauvery belt hitting lowest point, the Supreme Court’s direction to release 2,000 cusecs of water till the next hearing comes as a rude shock to the Karnataka Government. According to data from Karnataka State Natural Disaster Monitoring Centre, totally there is around 9.96 tmcft water available in the four major reservoirs along Cauvery belt as against 16.19 tmcft last year on March 21. Monsoon is expected in second week of June and Karnataka needs to manage for nearly three months.